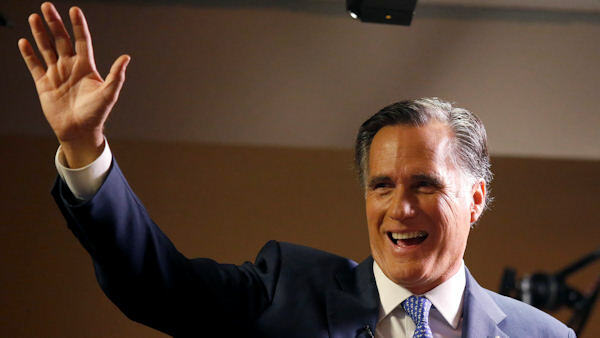 SALT LAKE CITY -- Republican Mitt Romney is trying for a political comeback as he launches a Senate campaign in Utah. The former presidential nominee made his campaign official Friday in an online video after a delaying his launch following a deadly shooting at a Florida high school. Romney is considered a heavy favorite for the Senate seat held by Orrin Hatch. The longtime Republican senator is retiring. They say Romney will suggest Washington has much to learn from the state the former Massachusetts governor now calls home. Romney is well-known in Utah for having managed the 2002 Winter Olympics in Salt Lake City. His 2012 presidential bid was lost to incumbent Barack Obama.